An Iranian official said that Iran will not be ready to agree for oil output freeze at the upcoming meeting of OPEC member states in Algiers due to pressure coming from inside the country. 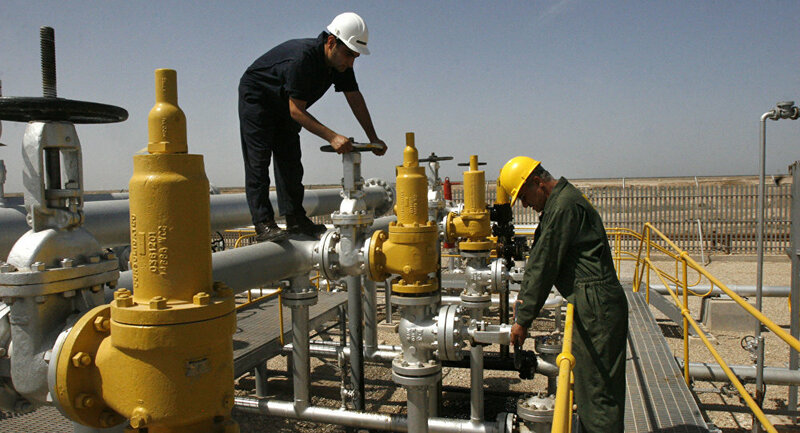 MOSCOW (Sputnik) — Iran will not be ready to agree for oil output freeze at the upcoming meeting of Organization of the Petroleum Exporting Countries member states in Algiers due to pressure coming from inside the country, an Iranian official was cited by media on Friday. "The pressure in the country is too high over reaching presanctions level. And we won’t have reached it next week,” an Iranian official told Wall Street Journal on condition of anonymity. According to the official, a deal would limit Iran's output to 3.6 million barrels a day, which contradicts Iranian President Hassan Rouhani's pledge to increase oil output up to 4 million barrels a day. Earlier in the day, Saudi Arabia and Iran failed to agree on the statistics method to be used in evaluating oil output for potential freeze ahead of the upcoming OPEC meeting. The OPEC member states are expected to renew talks on a possible oil output freeze with non-member states at the September 26-28 International Energy Forum (IEF) in Algiers, Algeria. In April, major oil-producing states failed to reach an output-freezing agreement in Doha, Qatar. Saudi Arabia, which had previously said that it would freeze output only if Iran followed suit, cited Tehran’s absence from the talks as reason for not supporting an output freeze.